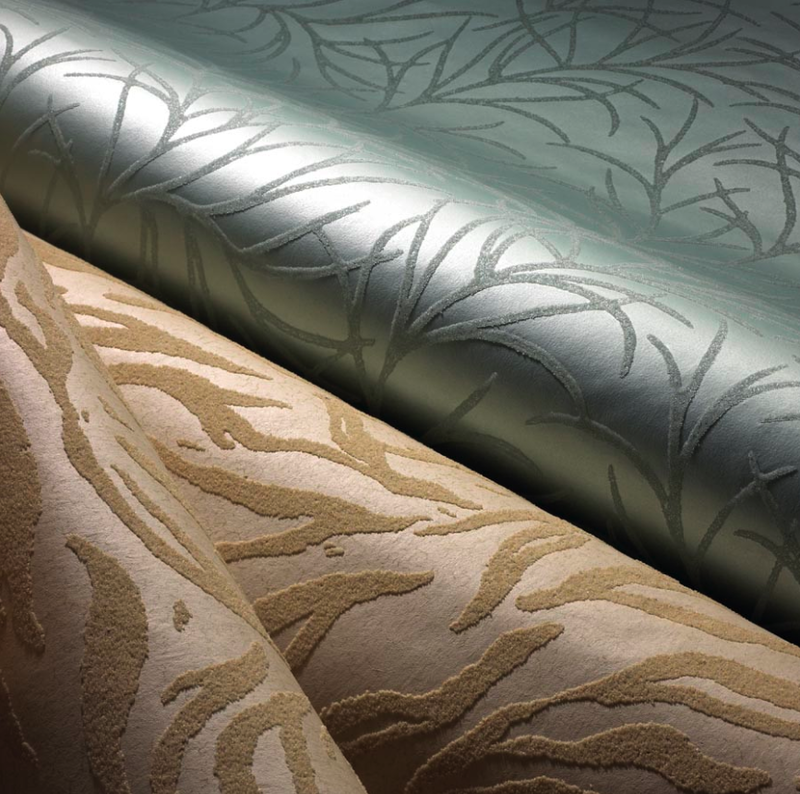 York’s Seabury pattern is a textured sand-infused design available for $120 per single roll. With Earth Day right around the corner, I’ve got eco-friendly products on the brain. And one new eco-conscious decorative element that intrigues me is York’s line of wallpapers that feature textured patterns made with recycled glass and sand. Made with proprietary machinery developed by York, the wallpapers are printed on breathable, eco-friendly non-woven paper with water-based inks and come in a wide range of colors and patterns. One of my favorites is the Seabury pattern shown above. 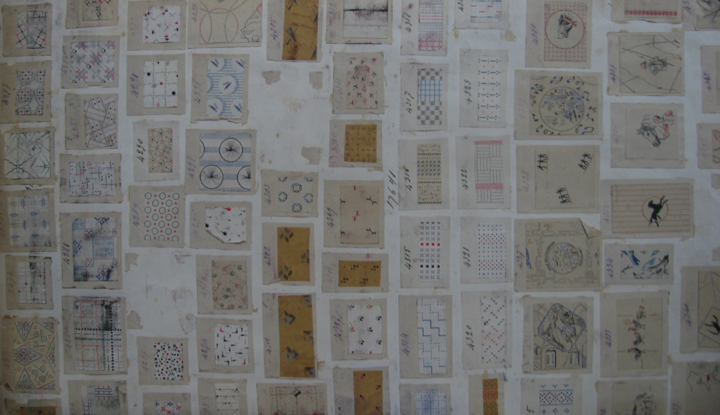 Last fall, a few journalists were invited to visit their facility in York, Pennsylvania, and were shown many of its other eco-friendly approaches to doing business, including recycling inks and rollers and even ideas—a sampling of some of its archival documents, which the company’s lead designer and chief archivist, Ronald Redding, showed us while we were there is pictured below. It’s fascinating to see how its designers find inspiration in the past and give it a new twist by altering images and recoloring with hues that work in modern environments. 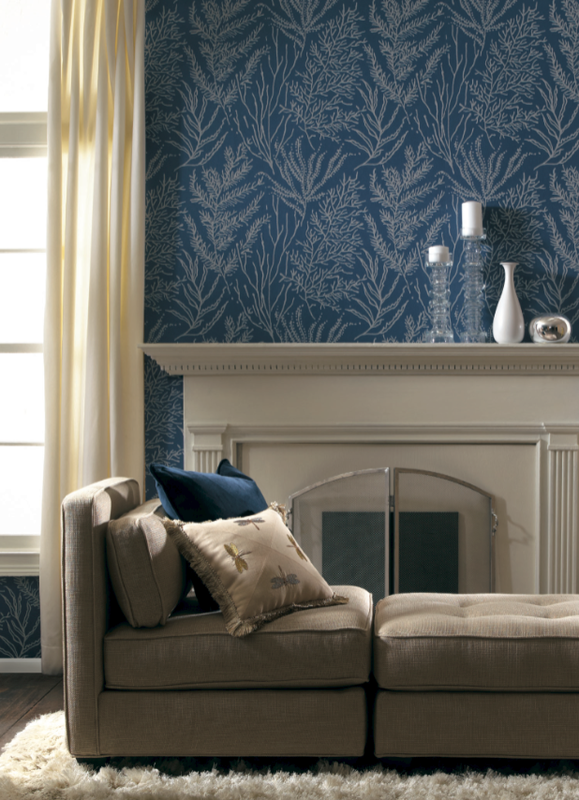 To find out more about Seabury or York’s many other wonderful wallpaper patterns, visit its Web site or call 800-375-9675. 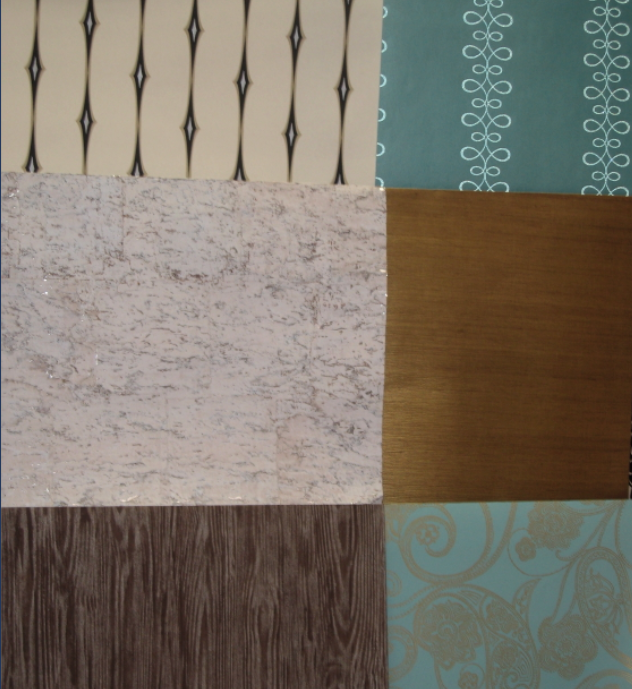 York’s Opus in Pearlescent Blue with Glass Beads from the Special Effects II Collection is shown with “Safari” in Beige with Sand from the Designer Backgrounds II Collection; both are $90 per single roll, from Ronald Redding Designs. A vintage original document from York’s archives. 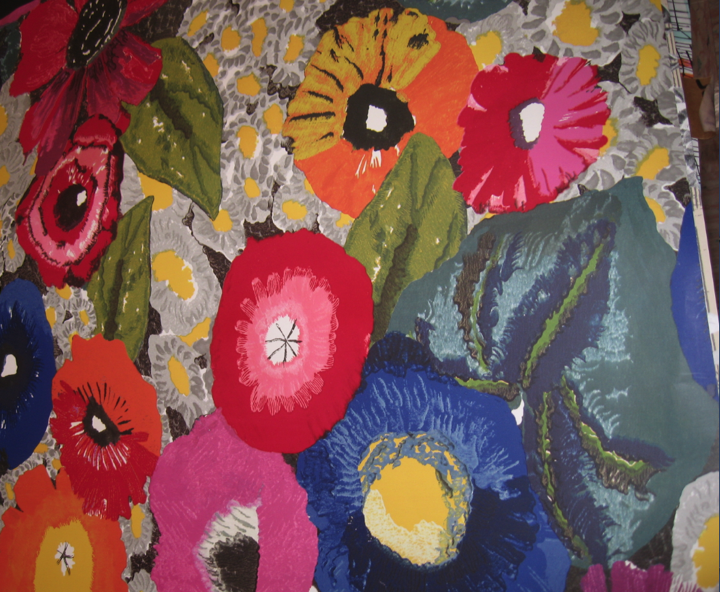 A collection of historic miniature prints are used to inspire contemporary patterns by York’s designers. 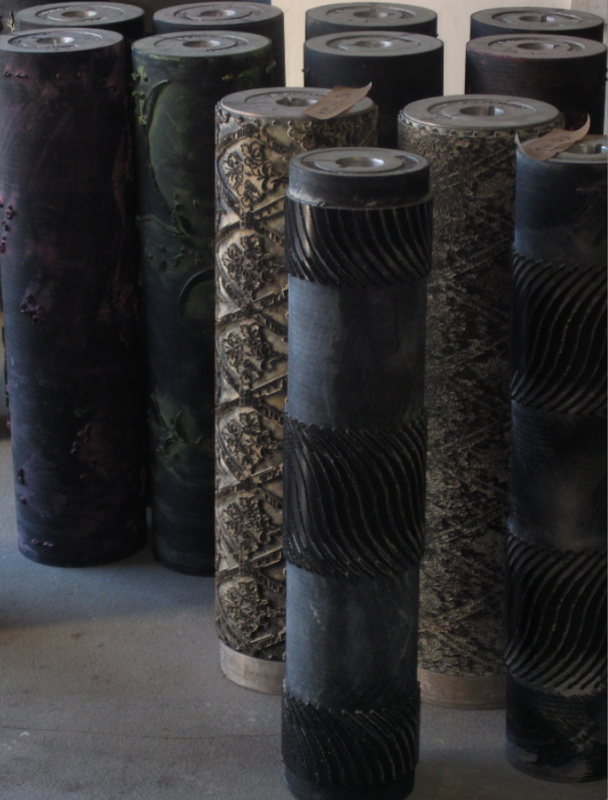 A collection of printing rollers in York’s Pennsylvania facilities. These are so beautiful! Love the first example – that deep blue paper with the beiges and cremes of the furniture and walls – such a great combination. Are you on Twitter? We really enjoy your blog and would love to give you a shout out. These are some of the most unique wallpaper patterns I’ve ever seen.